264 pages | 6 B/W Illus. 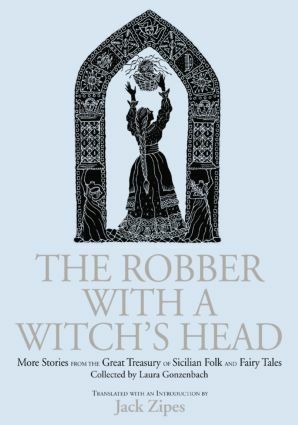 The Robber with the Witch's Head presents almost fifty new stories about demons and clever maidens and princes. Bursting with life, this is a storyteller's dream, full of adventure and magic, translated by Jack Zipes. Laura Gonzenbach was born in Sicily to Swiss-German parents. Her collection of Sicilian fairy and folk tales was first published in 1870 in German. An Italian edition appeared in 2000. Jack Zipes, one of the world's experts on fairy tales and folklore, is the acclaimed translator of the Complete Fairy Tales of the Brothers Grimm (Bantam), editor of the Oxford Companion to Fairy Tales, and the author of more than a dozen books on children's literature and culture, including Don't Bet on the Prince, Sticks and Stones, and Creative Storytelling, all published by Routledge. He is Professor of German at the University of Minnesota.